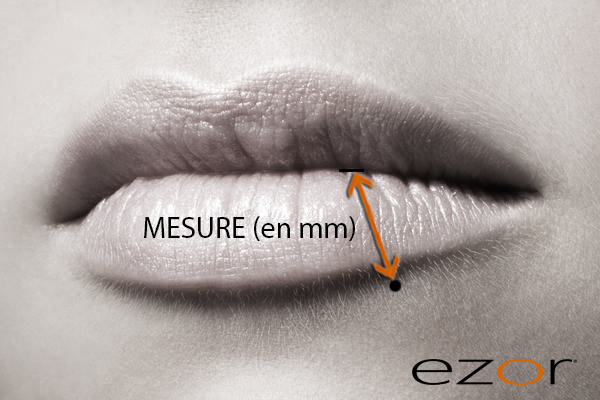 Lip piercings : how to measure and find the right size for your piercing? 2 - What size are the lip piercings? 3 - How to measure your labret or madonna/monroe piercing? There is a lot of different options of piercing around lip piercing. 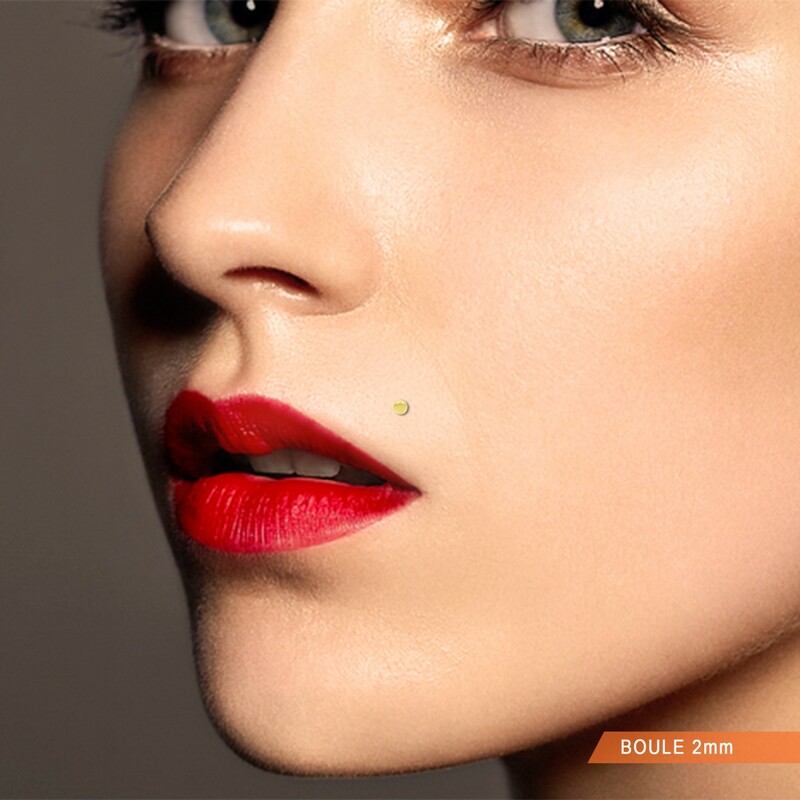 The most common are madonna/monroe piercing (on top side of the upper lip) and the labret piercing (in the middle or the side below the lower lip). Very popular with a little gem or a real diamond (diamond madonna/monroe piercing), labret is the most popular type of barbell for this piercing. It is made of a flat platform on one side that lean against the lips in the mouth and there's a screw thread on the other side where you can screw any jewel or ball. Confortable, easy to take off, light and discreet, the bioplast labret (flexible material) with a clip head make it the perfect option for a madonna/monroe piercing. 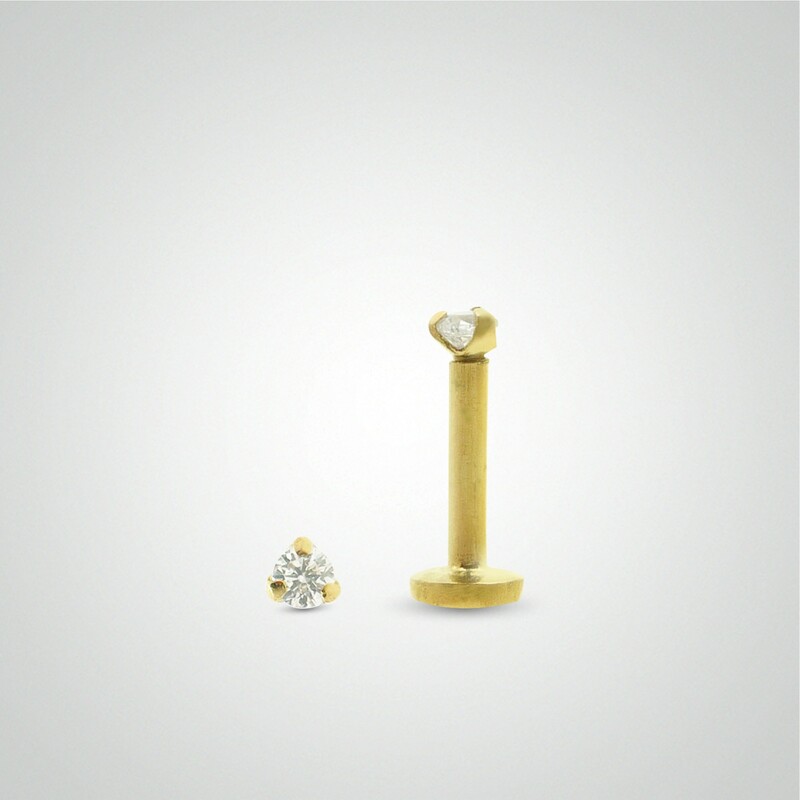 For labret piercing, the piercing jewel stay the labret barbell made of a flat plateform leaning against the lips in the mouth and a screw thraed on the other side where you can screw different jewels, balls, spikes or diamond. Lip ring is very trendy for labret or madonna/monroe piercing. Though we recommand you to wait a complete heal (around 3 months) before wearing this type of jewel. What size are lip piercings? 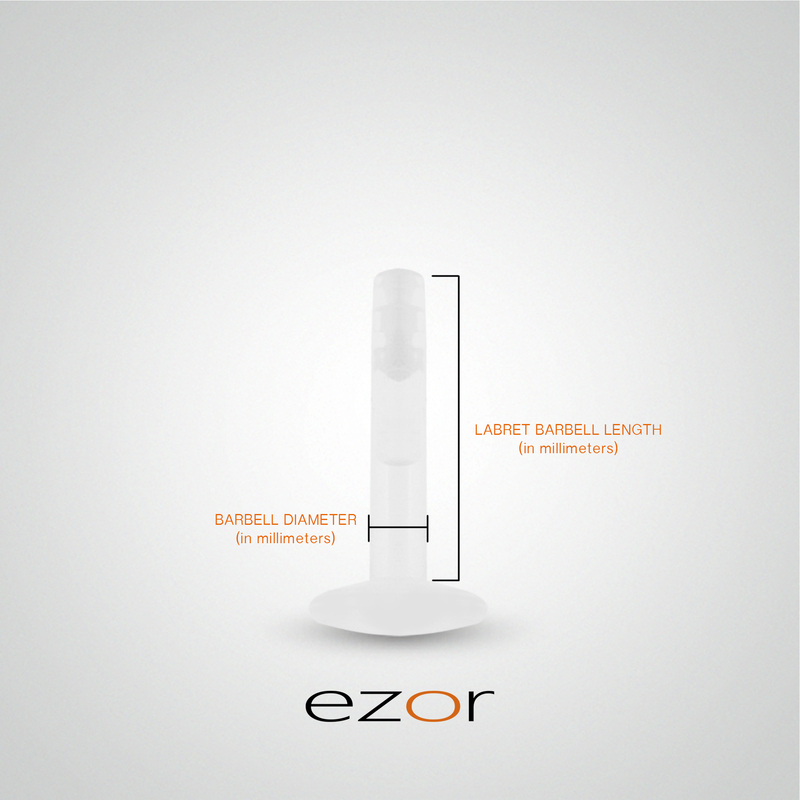 There is two main barbell gauge sizes for lip piercings : 1,2mm(16G) and 1,6mm(14G) (barbell diameter). As for madonna/monroe and labret piercings, 1,2mm(16G) is the standard and most common gauge size. It's also the size that is generally used as first piercing jewel during healing. For those who like to wear thicker and bigger piercing jewels at their madonna monroe or labret, you better look at piercing jewels at size 1,6mm(14G). This size offer a range of bigger balls or jewels. 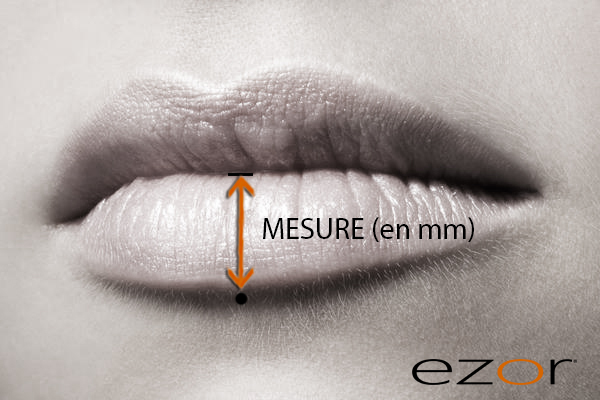 How to measure your labret or madonna/monroe piercing? It is important to have a piercing jewel at the perfect length. 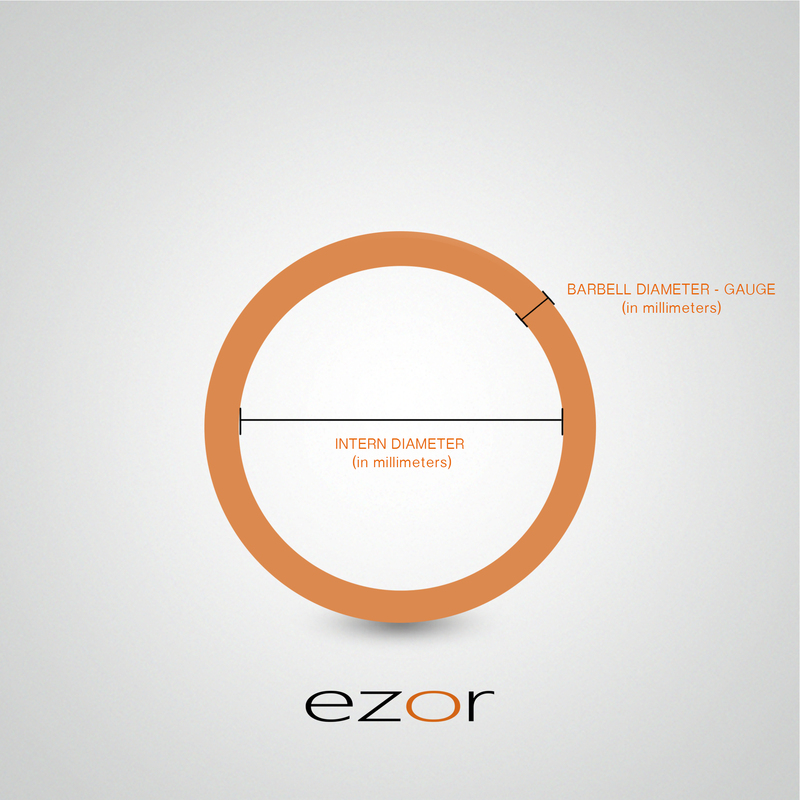 A barbell that is too short can compress the skin and be painful when a barbell that is too long will bump or get caught in clothes. 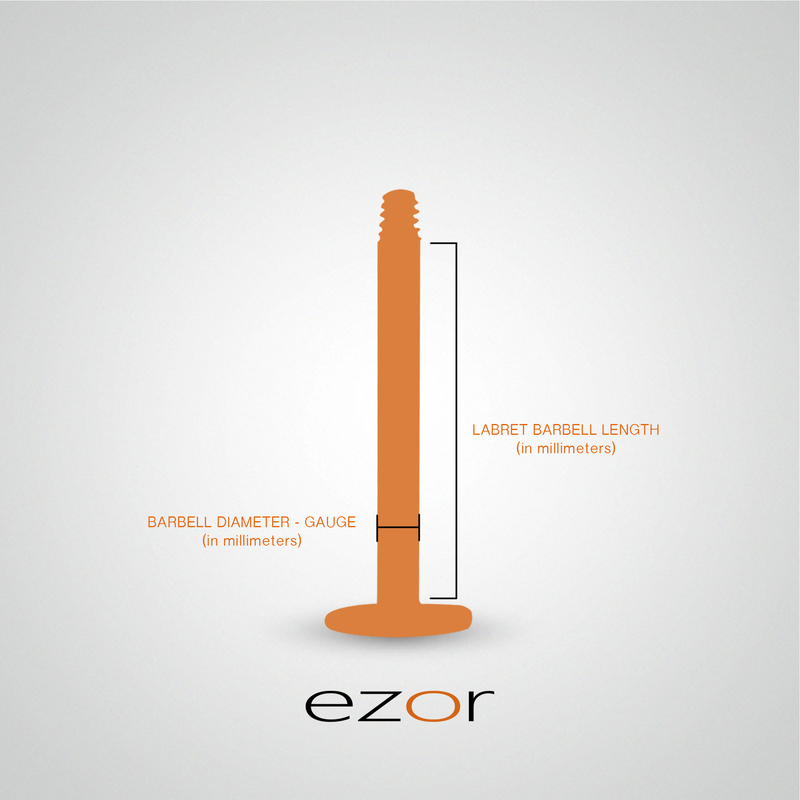 To measure a labret you simply have to measure the barbell length excluding the platform base and screw head if there is one. For labret piercing, ring size vary between 8mm(0,31in) and 11mm(0,43in). 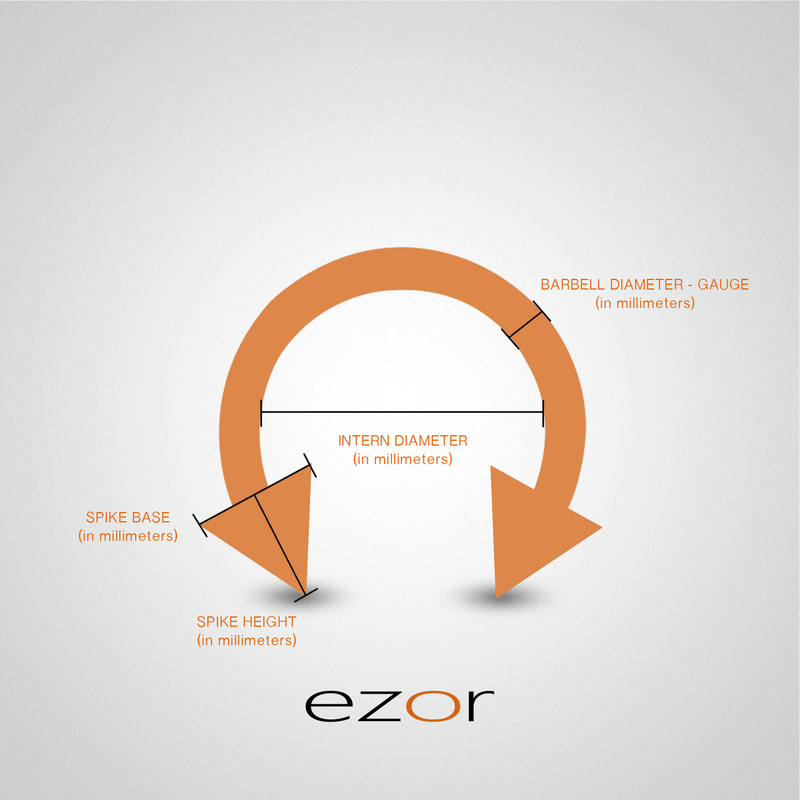 8mm(0,31in) and 9mm (0,35in) tend to be the most common sizes for this piercing. For side labret piercing, ring size vary between 7mm(0,27in) and 10mm(0,39in). 7mm (0,27in) and 8mm(0,31in) tend to be the most common sizes for this piercing. Alternatively, to know the ring size you need, you can measure the length from the hole of your piercing to the edge of the lip (see below). If you still have a doubt about the ring size or the right piercing for you, we recommand you to ask a professionnal piercer or do not hesitate to contact us.